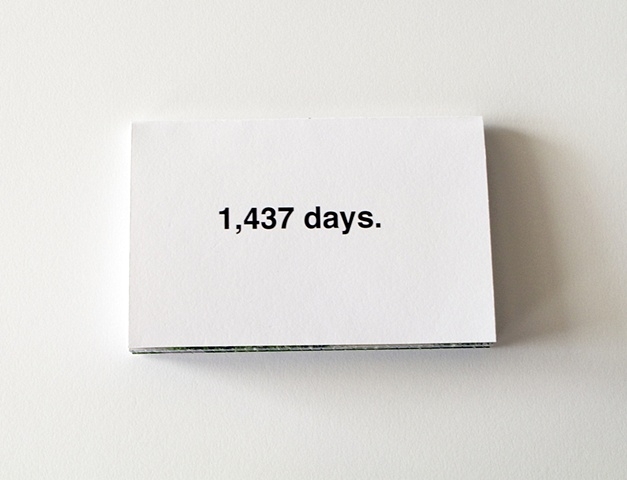 1,437 days. 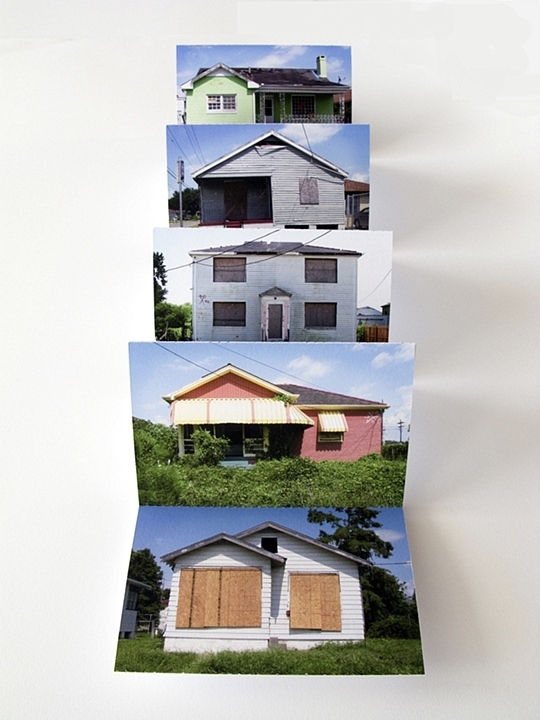 is an artist’s book that developed from my trip to New Orleans in August 2009, just before the 4th anniversary of hurricane Katrina. 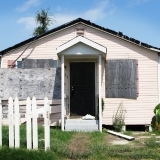 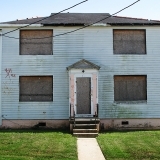 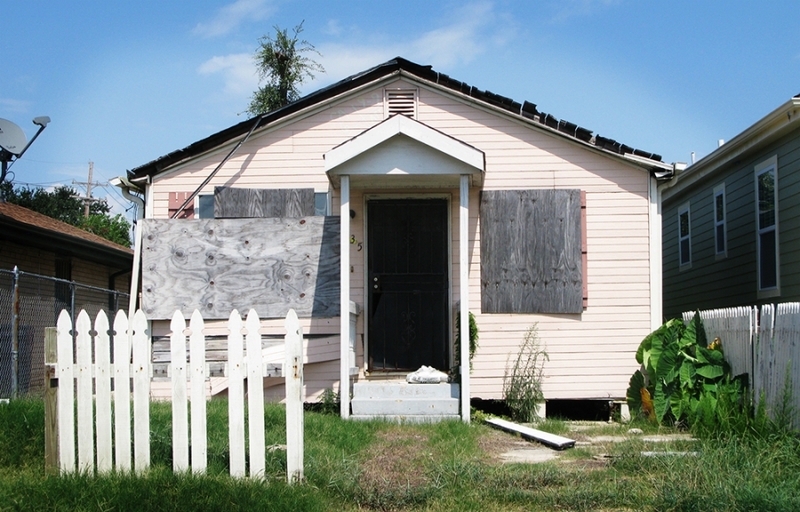 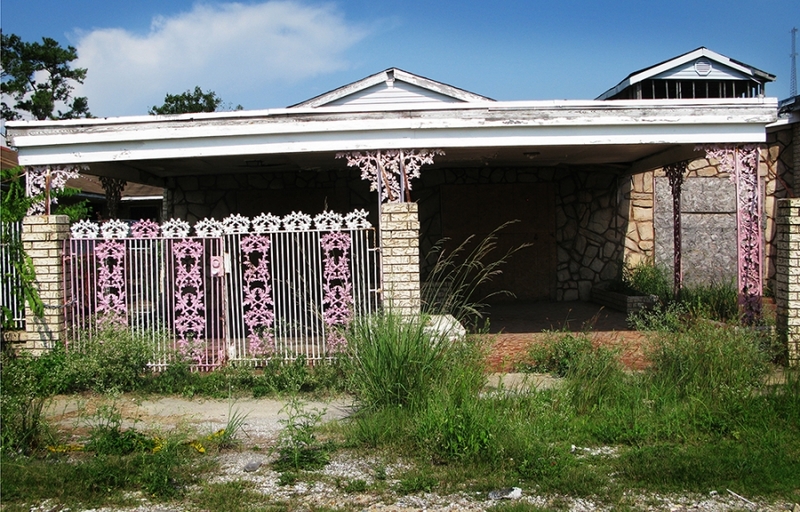 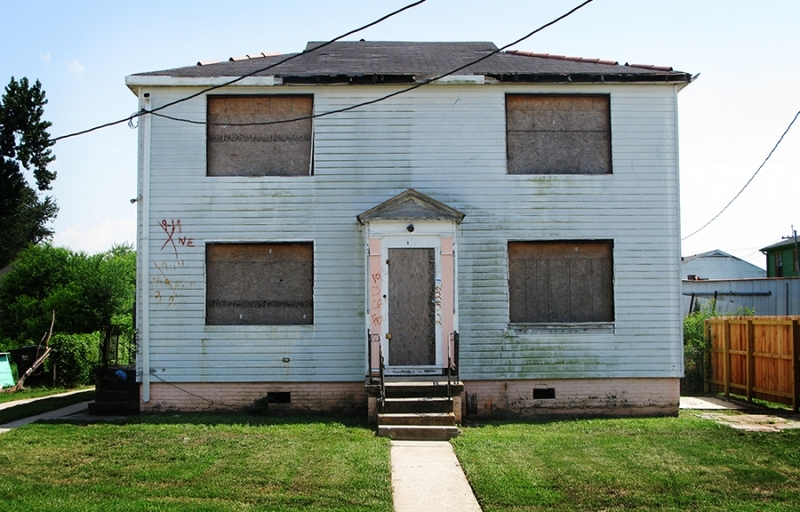 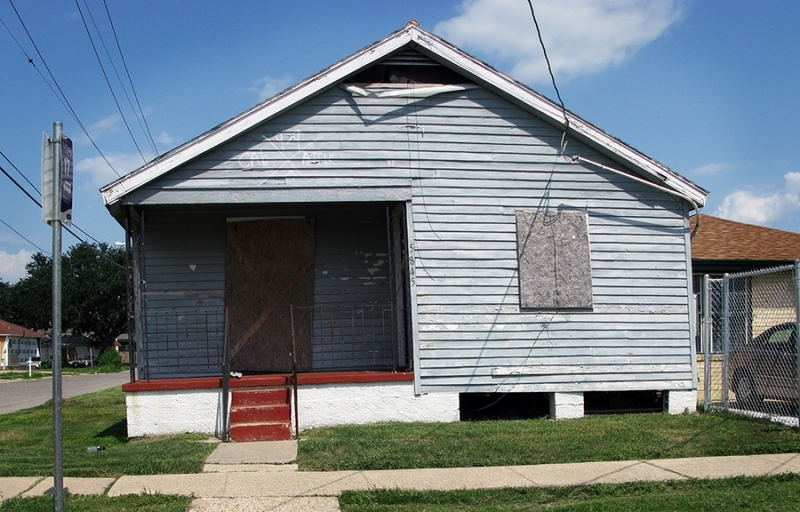 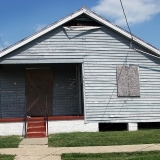 I shot the ten photographs included in the book in the Gentilly and Lower 9th Ward neighborhoods on August 6, 2009; 1,437 days after Katrina hit the city of New Orleans. 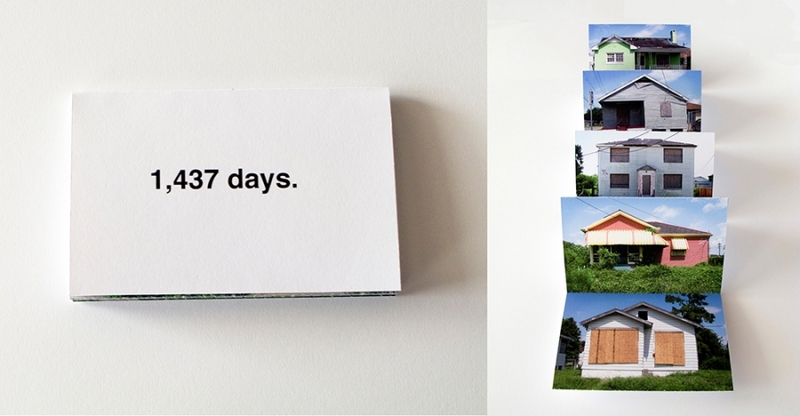 The photographs are assembled as a “postcard book,” a familiar and somewhat intimate souvenir format, with perforated edges between the cards. 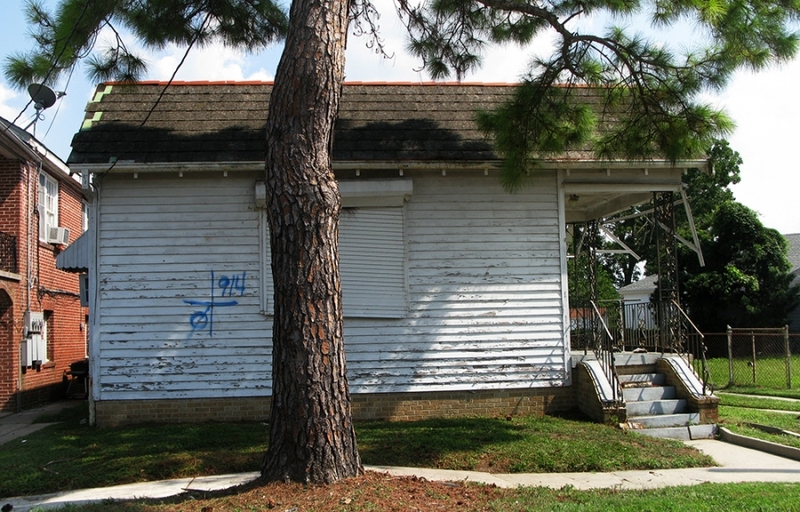 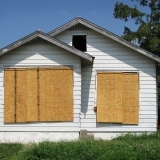 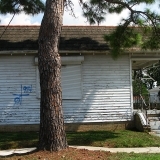 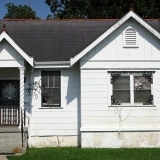 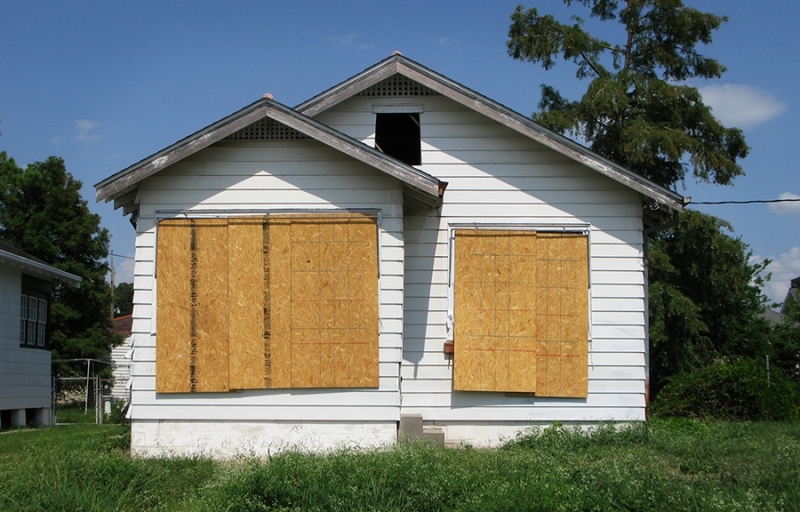 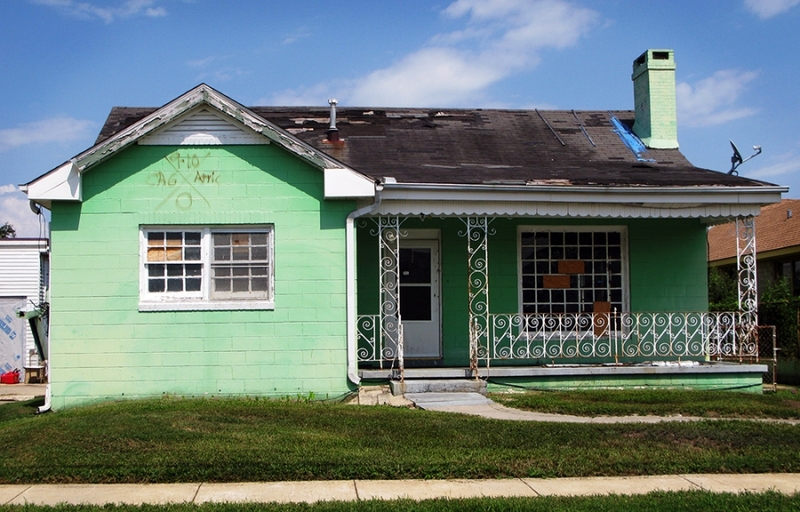 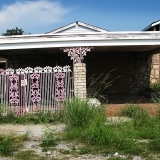 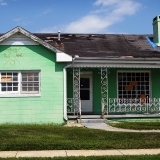 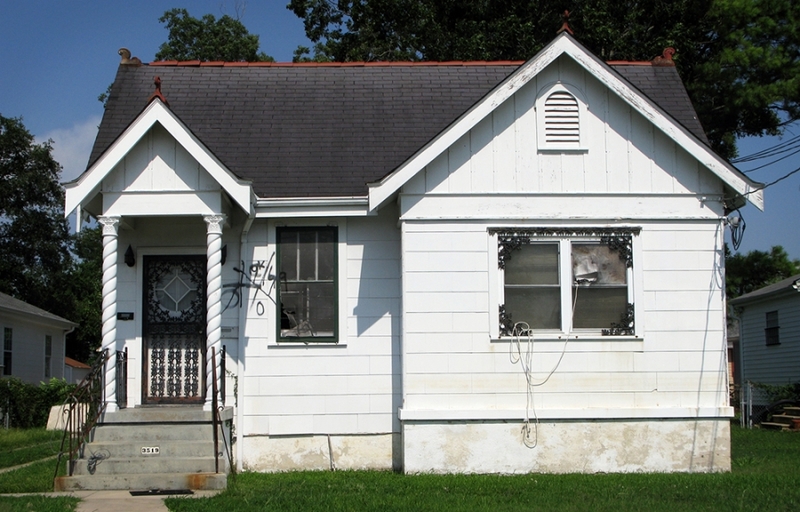 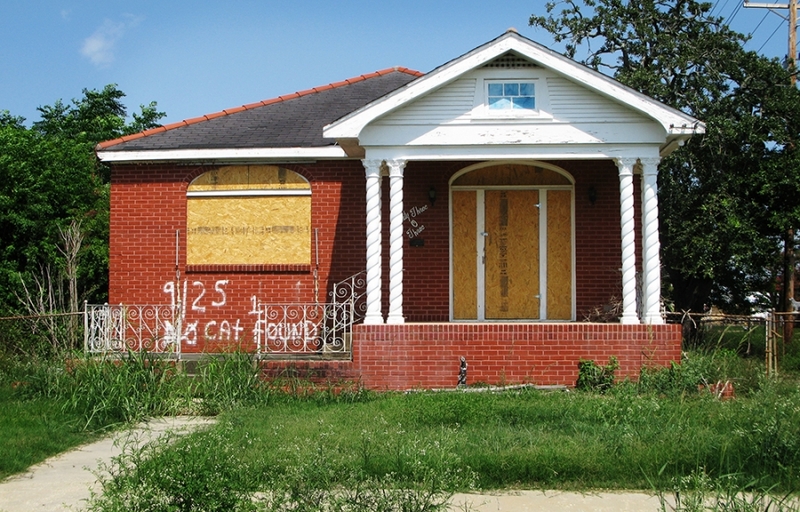 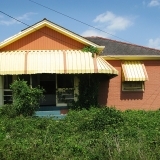 While the signs of Katrina are more obvious in some images with boarded up windows, others are more subtle the only indication being a faded spraypaint X signifying the National Guard unit that inspected the homes for the deceased in the weeks after the flood receded. 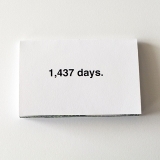 1,437 days. 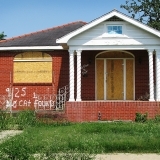 is an attempt to bridge the gap between the media coverage of the immediate aftermath of the hurricane, and the sporadic coverage during anniversaries, with the ongoing physical devastation in the city. 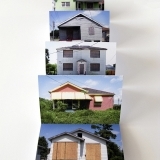 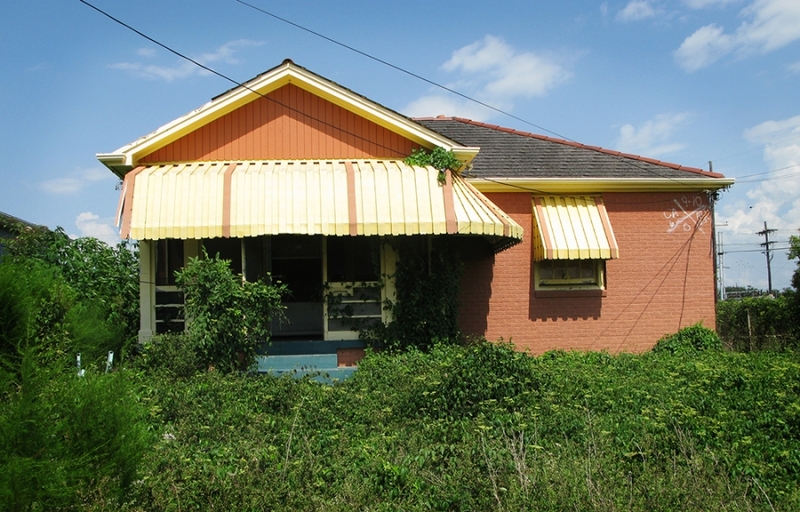 Contemporary images of New Orleans are largely unseen in the media rendering the city and the evidence of its trauma invisible. 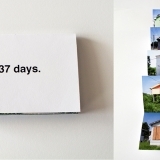 The project is an investigation into the nature of media, the distance between event and representation, and our human relationship to crises and events that have an ephemeral life span in the media and our larger cultural consciousness.